I’ve waited a long time to share today’s birth story, a first-time mom’s birth center water birth! I always respect my client’s wishes regarding whether or not images are shared, and prior to delivery, this mom wasn’t sure she wanted the birth photos made public. I am totally okay with whatever you choose from your session, but I am excited that she has changed her mind and wants to share images from her birth center water birth! We had been waiting for quite some time for “Nugget” to join the world. We weren’t sure whether or not a boy or girl would be welcome us, but we did know it felt like baby was taking a long time to decide to make its entrance! Finally, I received word that it was “time.” Yay! I packed my camera bag and headed out after the expectant father said that things seemed to be getting serious. During birth, I try to give the parents space and not be a distraction. With labor now slowed, I decided to leave mama alone, but I hung close since I suspected things would heat back up again shortly. Sure enough, two hours later I got the call to report back. We took our second journey of the day to the birth center, but there was no stopping things this time! Mama was a trouper, while Dad was a tremendous support. Baby B emerged, and it was amazing. It was almost as if he swam up to the surface of the water to his mama. Tears of joy were shed all around, mama realized she had a brand new baby BOY, and dad cut the cord. At Eastside Birth Center, rooms are set up much like a beautiful hotel room, so mom and dad were able to cuddle the baby right in a big king-sized bed. Grandparents and auntie arrived, and baby B was blessed to be welcomed with so much love! Dad waited to welcome his new little one. Mama enjoys a very brief respite between pushes. Baby B was delivered in the water, and after two pushes emerged completely and was lifted up to mama. 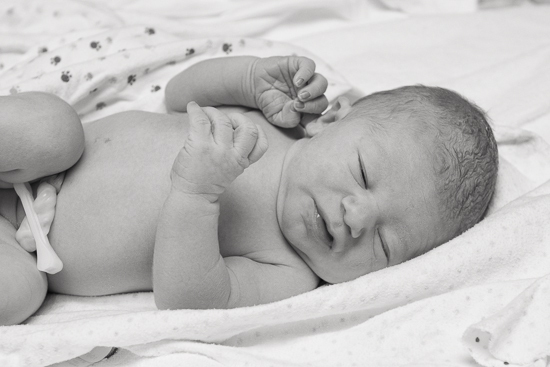 Parents, as well as first-time grandparents and new aunt, welcome the family’s new addition. 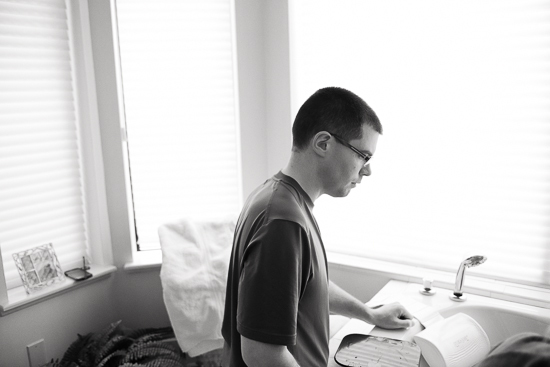 Eastside Birth Center in Bellevue, WA, features hotel-like rooms to make families more comfortable. Baby B, still adjusting to the new sights and sounds. 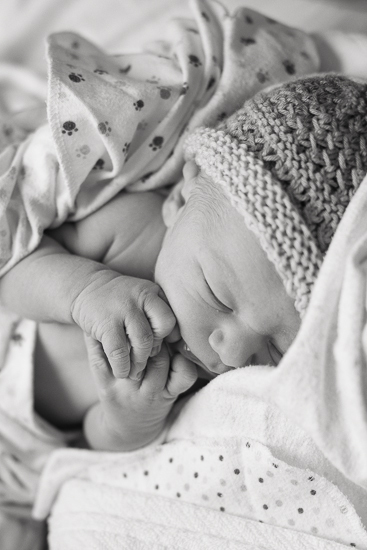 I love capturing the tiny details of newborns… here the sweet little hands and his handmade hat. 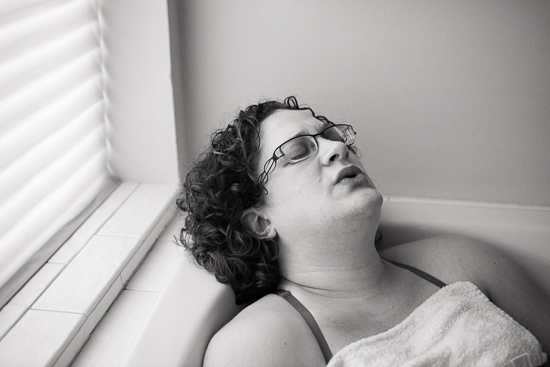 I absolutely love photographing birth stories, and am currently booking through the end of the year. I reserve only two spots per month for births, so contact me now if you are interested in reserving your due date! Let’s plan for your birth story!